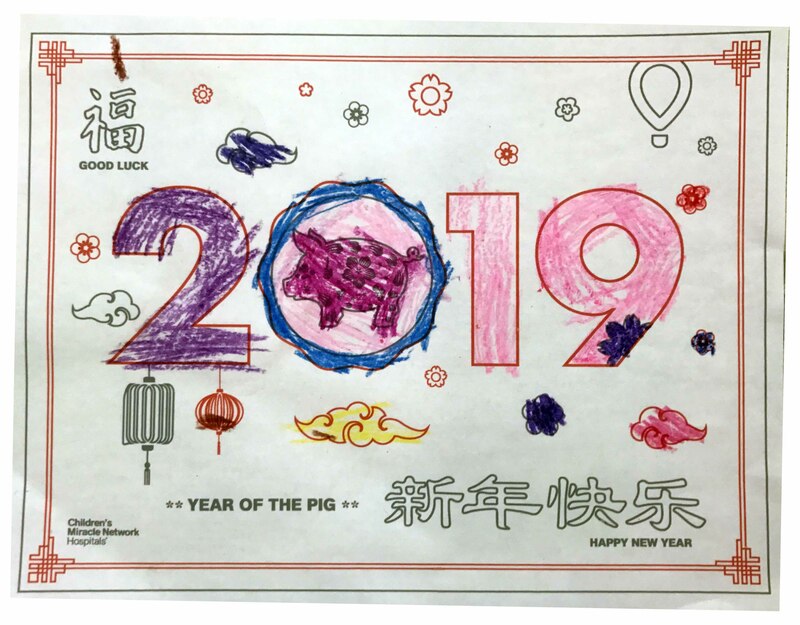 February 5, 2019 marks the beginning of Lunar New Year and the Year of the Pig in the Chinese zodiac. Lunar New Year celebrates the coming together of family and friends to feast and welcome the new year. 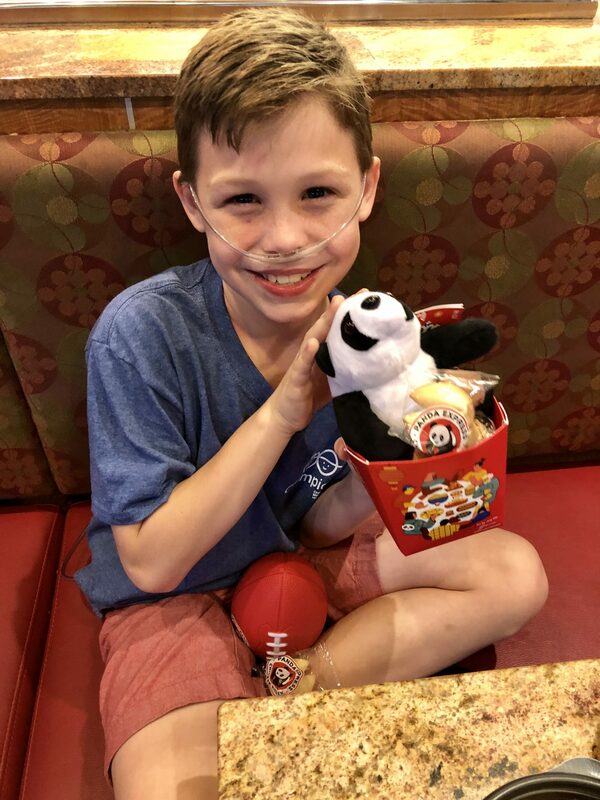 Panda Express has been bringing good fortune to millions of kids treated at Children’s Miracle Network Hospitals since 2007 by asking for donations for the local CMN Hospital year round. Donations help kids like Nate. Just a few weeks before his first birthday, Nate was diagnosed with mitochondrial disease, a degenerative disorder that attacks the mitochondria — the source that creates enough energy for the body’s systems to sustain function and support growth. Nathan’s nine specialists ensure he stays on track with oxygen supplementation, daily medication and the placement of a gastric stimulator in his stomach. While his body may not always have the proper energy, Nate’s fun-loving personality stands in stark contrast to his disease. He wants to be a comedian or late-night talk show host when he grows up. Or, if that doesn’t work out, one of the drivers at the Kilimanjaro Safari at Disney’s Animal Kingdom. Children’s Miracle Network Hospitals dollars helped open the pediatric emergency department, and fully fund child life services and the Arts in Medicine program at his hospital — all of which support Nate’s livelihood. Panda Express is kicking off Lunar New Year festivities nationwide on February 5, the first day of the Year of the Pig, Panda Express restaurants will give a red envelope to each guest who visits as a way of paying homage to the Chinese custom of gifting hong bao to loved ones as a sign of good wishes and luck. Within the envelope, guests will receive a playful paper fortune, as well as coupons for a free chicken egg roll and free 22 oz Dr. Pepper. The egg roll symbolizes prosperity for the new year and is one of the lucky foods that Panda Express offers. To bring good fortune to your family this year, visit your nearest Panda Express location to celebrate Lunar New Year beginning February 5. You can also make your own red envelope donation to kids treated at your local CMN Hospital at the register. 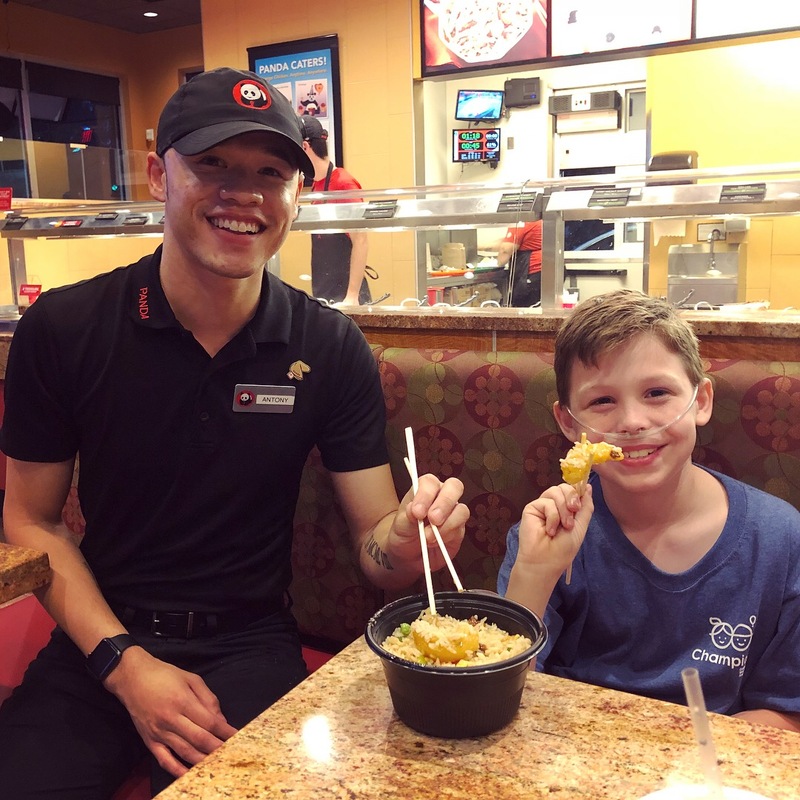 In 2018, Panda Express employees and customers donated more than $21.5 million to 131 Children’s Miracle Network Hospitals.